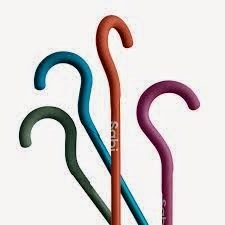 Sometimes you just need a little help well the Sporty Cane from Sabi can help with that and in style too. If you have hurt your leg and just need that extra support or if your older and just need help this is the cane for you. I really love it. It's soft and the cushion feels great against hands. They come in a variety of different colors and retail for $34.99.